What Made it Possible For Ordinary Citizens to Normalize Killing? Listed below are examples of the progress and reasons of how the extermination of Jews became accepted throughout Nazi Germany. In Nazi Germany, what made it possible for ordinary citizens to murder millions of innocent women, children, and men? How did Nazi propaganda have such a big role? Well, in 1933, Hitler established a Reich Ministry of Public Enlightenment and Propaganda headed by Joseph Goebbels. The goal of the organization was to make sure the Nazi propaganda was successfully communicated through art, music, theater, films, books, radio, educational materials, and the press. "Propaganda tries to force a doctrine on the whole people... Propaganda works on the general public from the standpoint of an idea and makes them ripe for the victory of this idea." Adolf Hitler wrote these words in his Mein Kampf (German: My Struggle) which shows that he first wanted to use propaganda to spread ideas of Nazism- racism, antisemitism, and anti-Bolshevism. As you can observe in the picture above, a German child is reading The Poisonous Mushroom which is a book that teaches children that Jews are to be antagonized and are not worthy of life. Mein Kampf (My Struggle) was a manifesto written by the ever well known Adolf Hitler. It tells of his youth, WWI, and the “betrayal” of Germany’s collapse in 1918. It also expresses Hitler’s racist beliefs, identifying the Aryans as the “genius” and "superior" race and the Jewish as the “parasite." He wrote that the elimination of the Jewish people “must necessarily be a bloody process.” Hitler's Mein Kampf has been appropriately deemed repetitious, illogical, and funny enough, it was filled with grammatical errors, the qualities of a half-educated man. Kristallnacht, or "The Night of Broken Glass" was the first outbreak of violence against Jews on the night of November 9, 1938. In two days, over 250 synagogues were burned, over 7,000 Jewish businesses were trashed and looted, dozens of Jewish people were killed, and Jewish cemeteries, hospitals, schools, and homes were raided while police and fire brigades stood by and watched. It became known as "The Night of Broken Glass" because of all the broken glass from Jewish stores and homes that littered the streets. 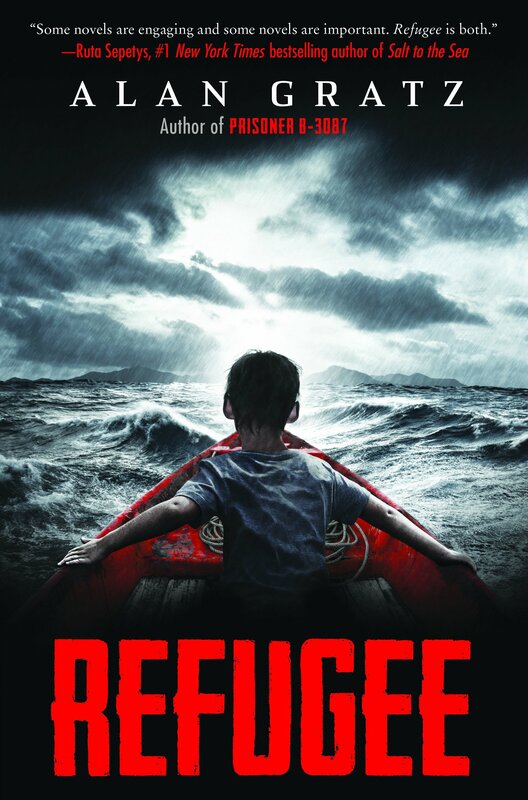 Refugee by Alan Gratz consists of three fictional characters living in real events of the past. One is Josef. He is a Jewish boy living in Nazi Germany in 1939 when his home is ransacked and his father is taken away to a concentration camp. His father makes it out and then Josef and his family aboard the M.S. St. Louis hoping to find refuge in Cuba. The next is Isabel. She is a Cuban girl who lives through the Cuban Raft Exodus of the 1990's. Her and her family set out on a raft to Miami, Florida where they hope to start a new life away from Fidel Castro's communist Cuba. The last, but not least, is Mahmoud. He is a Syrian boy in 2015 who just wants to be invisible. but after a missile strike his home, his family also must leave their country to escape the horrors of what's going on. They then journey to settle in Germany, where they can be well far away from the chaos of their old home of rubble and twisted metal.